Is every vape that holds dry herbs, really a true vaporizer? Unfortunately, more often the answer is no. Far too many models end up burning herbal material rather than vaporizing it, defeating the purpose of using a vaporizer rather than smoking. For those who want a unit that truly vaporizes, the KandyPens K-Vape 2.0, and the MIVA are the best choice of herbal models. The K-Vape 2.0 and the KandyPens MIVA are undoubtedly two of the best hand-held models for dry herbs. While larger than some others, this vape is still small, and can be used as a pocket vape on the go with ease. Unlike other portables that burn material, these 2 devices use true convection technology, warming material by passing hot air through it rather than exposing the herbs directly to the heating element. This completely eliminates the risk of combustion, and with three temperature settings to choose from, you can customize your vaping experience to get optimal performance, and the best possible clouds quality. 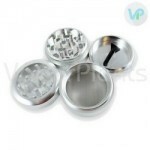 The K-Vape is one of the more popular of the KandyPens vaporizers. A dry herb vape, it is highly portable and uses pure convection technology to ensure no combustion. Three optimized temperature settings, 360, 380, and 420 degrees Fahrenheit allow for anyone to find their perfect blend of flavor, cloud density, and potency. To ensure that the KandyPens K-Vape 2.0 is the best dry herb model of its kind, the engineers used only the best materials in the design. This portable vaporizer for aromatic blends features a durable stainless steel heating chamber that is large enough to hold up to .6 grams of material and capable of reaching working temperature in 30 seconds or less. The attached rubber mouthpiece is durable enough to hold its shape but feels luxurious between your lips. A powerful battery supplies the power for the model, and is equipped with 3-minute automatic shutoff to conserve battery life. The K-Vape by KandyPens is a step up from a vape pen that is still simple and convenient to use on the go. 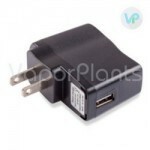 The universal micro USB connection makes charging quick and easy. The Micro DX was a high quality portable, dry herb vaporizer with an ultra deep .6-gram capacity. Its chamber heated up to any chosen temperature between 350 and 430 degrees Fahrenheit in no time at all. Only 13 centimeters in length, the Micro DX concealed in the palm and in the pocket with ease. The main difference between the two was their size, as the K-Vape 2.0 is bigger than the Micro-DX. Another key difference is that the KandyPens Micro-DX had a variable temperature setting just like the new MIVA that you can adjust by the degree with an OLED display, while the K-Vape has only 3 settings. The Micro DX giave you the convenience of a vaporizer pen with the performance of a portable, making it a great dry herb model for many users. This device was really fun; the technology behind it works great, and created a truly interactive experience. Lifetime warranty on the product was something to consider, because anyone who's vaped their way through a few of different vapes, knows that not all of them are built to last. Check out the MIVA Vaporizer below, which is a better, improved vape based on the Micro-DX technology. The 24K Edition also brings the convection technology in a completely unique luxury one of a kind bundle kit! The pen itself has a large stainless steel heating chamber that can be heated to 3 presets: at 360°F, 380°F and 420°F. Includes specialty branded tools, brushes, screens, and a grinder. With a white or black matte finish and gold accents, the 24K series has a crisp, classy edge above other models. Because the K-Vape 2.0 is made from the best components, it is able to be backed by a lifetime limited warranty. To ensure your safety, the pocket vaporizer is BPA free, so you won't be exposed to toxic additives when you vape. Q: How do I take off my K-Vape mouthpiece? A: The mouthpiece is ultra secure and may feel too tight to take off at first, but it is in fact very easy to remove. Simply push the side of the mouthpiece with your thumb, as opposed to the top or back like some other pens. The Miva is a herbal vaporizer that is ultra portable. It features a super deep convection heating chamber made from ceramic, helping to conserve your herbal materials. With its glass mouthpiece flavor produced by the Miva is exceptional. It heats up in only 10-20 seconds and has a temperature range of 300 to 435 degrees Fahrenheit. Though the price may seem a bit steep, the KandyPens Miva truly brings everything to the table, making it beyond worth it. This true convection vaporizer fits easily in the pocket and in the hand, making for simplified and covert usage wherever you are. It features a memory data function, which allows the device to remember the last used temperature and immediately heat to that temperature again when you turn it on. This means this device is certainly recommended for those on the go who don't want to spend too much preparation time to get ready for an on-the-go session. I purchased a K-Vape vaporizer pen, I'm loving it, the only issue I really having that it doesn't stay lit long. Vapor is really smooth - Review by Melissa J. This is a really neat vape. It has a lot of room in the chamber. It is really easy to clean and to use. The chamber is nice and big too. It fits easily in my hand and I love the three different heating options. The vapor is really smooth and sweet. It heats up so fast and gets cool even faster. The KandyPens K-Vape's mouthpiece does not get too hot either. Sleek and simple - Review by Karma R.
I love the battery on this thing. It seems like it can go forever if I am just taking a few quick hits here and there. It is sleek and simple. I love that no one knows what I am vaping when I take it out in public with me. On one charge I can use it three or four full times before I need to charge it again. It has a micro USB port so I can charge it anytime I want. Great herbal chamber - Review by Daniel C.
So far, I am having absolutely no issues with the KandyPens K-Vape. It heats up really fast and has just the right amount of space in the chamber so I don't have to keep repacking it when I go out. The price is great and I think the Pax does not even hold a candle to this thing. I recommend it to anyone, even those who have not used a vaporize before. Good battery life - Review by Marian J.
I love the KandyPens K-Vape for its flavor and its low smell. The battery life is pretty good, nothing to complain about there. The only thing that the KandyPens K-Vape does not do that I wish it did was give me bigger clouds, but that's okay. The mouthpiece kind of gets warm, too. Recommended - Review by Ramiro M.
I recommend the KandyPens K-Vape to anyone who is currently considering it. I take it with me and I like that it does not draw attention to me when I am out in public. It has an okay mouthpiece that I think could have been built a little better. Works as advertised - Review by Scott O. The KandyPens K-Vape works just as advertised. I love that it warms up really fast but never gets too hot. Really easy to use - Review by Christian J. The KandyPens K-Vape is a great vape for anyone who is curious, whether you are a newbie or have been vaping for a while. It is really easy to use the KandyPens K-Vape and it is just as easy to clean it. Good battery life - Review by Londa R.
The KandyPens K-Vape has a really good battery life. I can bring it with me wherever I go without having to constantly charge it in the car. Extraordinary flavor - Review by Sterling B. This vape is extraordinary in terms of flavor. It has a little bit of a smell but not too much. This vape is great for discreet vaping out in public. Amazing flavor - Review by Selina M.
I have only ever owned the KandyPens K-Vape and I don't think I will ever buy another one. Long battery life, amazing flavor, really easy to use and really easy to clean. No more smoke - Review by Lona E.
My friend recommended the KandyPens K-Vape to me and I have not smoked since. This thing can rip. Have spent about a week reviewing and reading up on all the latest most popular vaporizers, after all of the time spent I chose KandyPens K-Vape Micro DX. Have been vaping with it for over 1 month now and it is almost perfect. Easy to use due to easy instructions. Few seconds to clean and takes 30-45 seconds to heat up the herbs once activated. all things considered, I would recommend this product to anyone. 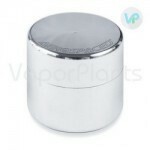 K Vape is a truly well made vaporizer, heats up well and does not overheat or burn the herbal materials. It does clog easily and the ability to vape gets harder, so clean it after every few uses. I am satisfied and would recommend K-Vape 2.0. Not sure what improved since the 1st version, since I never had it. Value for the money. Tried K-Vape dry herb vaporizer when many other new vape pens stopped working every two months. This KandyPens Vaporizer was highly reviewed and the warranty was the main selling point as it was good to know it has it. Have been using it for about 2 months now and can't complain at this time. K-Vape 2.0 takes a while to reach max heat but I still highly recommend it as you do not need to use highest possible vaping temperature. Replaced my favorite vape. Micro-DX allows you to adjust the heat unlike many other cheaper vaporizers. This is definitely a good quality vape, which includes all the right features and needed accessories, KandyPens guys have thought it through. Battery life is good enough, experienced it for 8 full sessions on 1 full charge. It's pretty, compact , and easy to use!! !